One of the most interesting stages in life that gives us an opportunity to explore is the ‘college phase’. Life at college is the time when the teenage years end and we all dive deep into the ocean of new beginnings and possibilities. This golden period better equips us for all the challenges we’ll face in life and creates a strong foundation of knowledge. My experience at IIFT has taught me one fundamental thing- life is unpredictable. It might be good, It might be weird, and it might not interest us, but expect anything to happen. Eg- you might have a wonderful job this moment, and fired the very next moment. College life prepares us for all of this. It is a perfect blend of joy and hardships. We meet different people, interact with them, learn about their cultures and grow as a person. We will understand how to talk to different people, how to judge their behaviour, thus teaching us important life skills. We learn to sit through a boring lecture, we try to cope up with surprisingly strenuous syllabus, and we have the opportunity to learn from some great research minds. Academia, as they say, never lets you go free. People might try to motivate you by telling that you need to study only through your school years and chill during the college life, but that isn’t true. Another life lesson we will remember – the learning never ends . We find various student groups where we can explore our co-curricular skills along with other students. We share common interests and ideas. Here at IIFT, we have 6 clubs and 7 cells that ensure collaborative and comprehensive learning all year round. All the possible domains-finance, marketing, operations, trade, etc. Are handled by one club each. They regularly schedule competition-case studies, group discussions, quizes, etc. because no management education is complete without practical learning. Most importantly, they help us in building confidence and becoming conscientious managers of future. I would love to work with Aditya Birla Fashion and Retail ltd. Through its in- house brands like Louis Philippe, Allen Solly, Van Heusen. I have always admired these brands for their cutting edge fashion products and developments it brings about in the modern world. The impact of our work is directly reflected among the society in general, which is a great feeling. I would like to be a part of this modern day game changer Brandwagon. 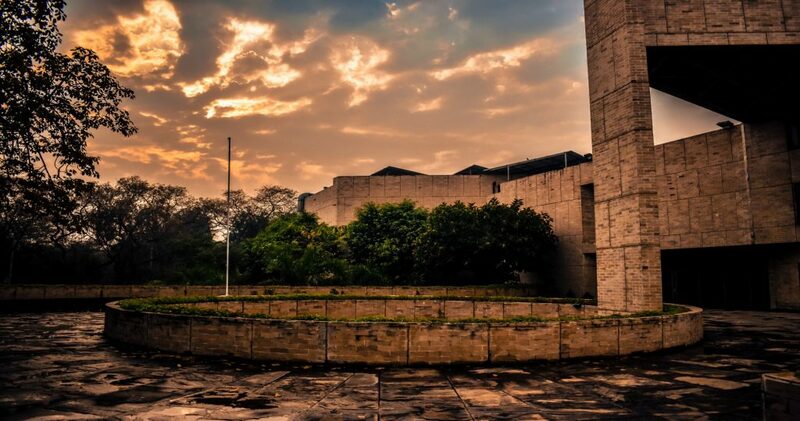 Life at a management college like IIFT is a time of dreams and innumerable paths. We can be still good managers studying a completely different course and preparing presentations and assignments even at midnights. We can even work for NGOs and gain the satisfaction of being humanitarian. Every nook and corner of the college, we can find peaceful spot full of natural surroundings. We will always remember the early morning yoga sessions, unexpected rainfalls, Ranga sir’s terror, sleepless nights and “sleep-full” of classes where the majority could be found sleeping. So, one fine day when we will see our old pictures, we’ll definitely land up smiling silently. That’s the beauty of college life. It stays with us long after we have climbed those ladders of success. Life at college is a wild mish-mash of experiences, with all sort of hilarious stuff going down in the hostels.